This is pretty cool. It's a car I had not seen before. I've seen a few 1800 (or Luce) sedans, but never a wagon. The 1800 sedan was a very nice looking car. Designed by Giorgetto Giugiaro, it had elements of Lancia and BMW in it. The station wagon, while not nearly as sporty as the sedan, is nice looking in its own way. The 1800 is not a quick car. The 1796cc non-rotary engine we got here in the US only makes 98 HP and it takes the car close to 18 seconds to reach 60. This is a car you buy for its looks and rarity. 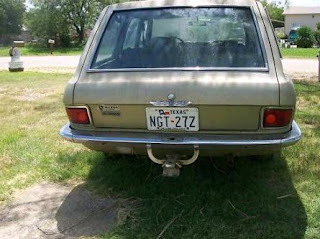 As the seller points out, only 1639 of these station wagons were imported in 1971. I suspect very few are still around. Old Mazdas, like most 70s cars, rusted badly. This car appears to have very little rust, having spent its life in Texas. 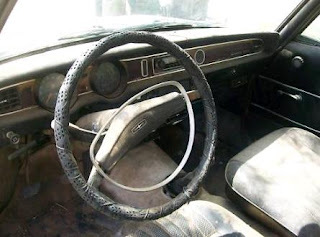 Unfortunately, having spent its life in Texas, parts of the interior seem to be pretty well baked from the sun. The car was running up until 7 years ago. 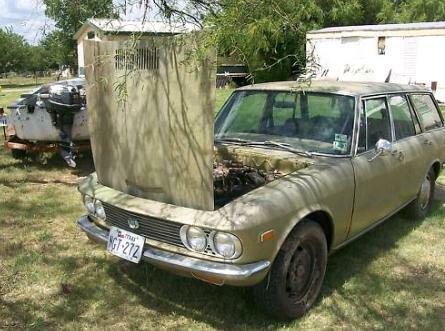 At one point in the listing the seller says the engine might need an "overhaul", but later states that he doesn't think it's too bad. Plan on an engine rebuild and be pleasantly surprised if it doesn't need one. The car also needs some clutch work done to it. Located in Breckenridge, TX, click here to see the eBay listing. A big thanks to JaCG reader, "longrooffan", for sending me the link to this car! Wow, that car brings back some memories. The first car my mother bought was a 1967 Mazda 1500, essentially the same as the wagon for sale, but in four-door sedan form. 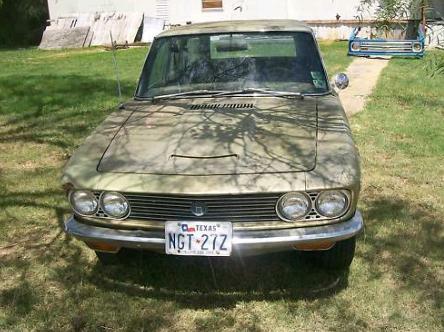 Curiously, when I met my now wife back then, her mother also dove a Mazda 1500, hers being a station wagon. Dave, these Mazdas never came with a rotary engine here in Oz, although many others did. What you may not know is that the design for this was rejected by Alfa Romeo for the car which would ultimately become the Alfetta sedan. Mazda didn't mind one bit picking up this design, which was really rather elegant in its day, and a big step up for a Japanese maker at the time. Re: 1971 Mazda 1800 wagon.Located one in rural Washington sitting in some fellow's carport.Seems his father bought it from a dealer in Bellingham and drove it throughout the 70's and 80's before he died.This guy seems to have no interest in restoring the car.From what I can see,the interior and body appear solid- just the smallest amount of rust starting to work under the rear hatch window and a badly rusted rear bumper.It could have a number of other rust concerns from sitting in this damp environment. A year ago,he wanted US$1200 for it,which seemed too much.I have concerns about located spares for such a rarity so have hesitated about negotiating on the price- I do like the car a great deal.